Annual meetings, conventions and conferences are a unique opportunity to capture multimedia content when organization leaders and members are gathered. Lyons PR brings its radio media relations team and audio production capabilities to any event. We conduct on-site radio media tours, gather audio content from key speeches and presentations, record and produce actualities for distribution and online posting, and set-up and facilitate radio rooms or radio rows. Lyons PR can capture actualities (or soundbites) from key spokespersons and distribute to radio stations nationwide for use within newscasts and news reports. Using only the latest audio recording technologies, our audio engineers can capture actualities from events, meetings, conventions or one-on-one interviews. Lyons PR can secure a local radio station to broadcast live from your next event. Utilizing our vast knowledge of the radio industry, we help choose the right radio station partner for your event and handle all logistics. With our intimate knowledge of the radio industry nationwide, Lyons PR consults, strategizes and implements media buying for our clients. We know the local markets and its stations, and we know which stations will provide the best results. Organizations trust award-winning Lyons PR to distribute timely news to radio outlets around the country via audio news releases (ANRs), also known as radio news releases (RNRs). 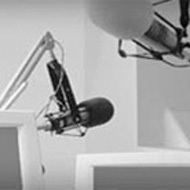 With our proven ability to script and produce radio-ready audio news releases efficiently and effectively, our clients’ news receives the press and airtime it deserves.An Audio News Release is a 60-second audio news story that includes a radio actuality (soundbite) from an organization spokesperson and is voiced by one of our professional voice talents. Lyons PR utilizes the latest technology to produce high quality audio. We will ensure your organization sounds its best. Whether distributing nationwide or to targeted markets, Lyons PR utilizes its constantly updated and accurate database of over 13,000 radio stations to make sure your ANR gets on the air. With a deep roster of contacts at radio stations around the country and strategic relationships in place with national radio networks, Lyons PR is uniquely qualified to deliver results that exceed expectations. Audio News Release service is available in both English and Spanish.